India is a country filled with culture, and if you like visiting the country on a regular basis, you'll want to buy a timeshare instead of throwing away money on hotel rooms. Hotel rooms are often cramped and noisy, and you will find that you can get a timeshare for less money than it would cost to stay in one of the nicer hotels in the country. 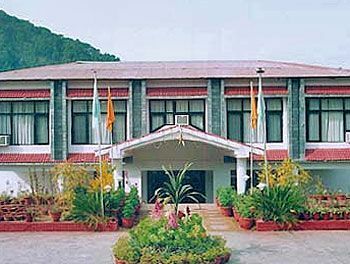 Country Inn Bhimtal is easily one of the nicest resorts that you'll find in this part of India. This resort offers comfortable living accommodations and a convenient location near the Himalayas. 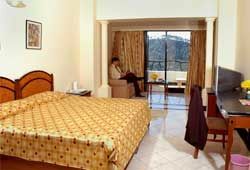 One of the best things about Country Inn Bhimtal is that it offers India timeshares for sale that are perfect for families, no matter how many people there are in your family. Studios have a more intimate feel and are great for those hoping to have a romantic adventure together, but these smaller units can also sleep four people if you have a couple of children. If you want a bit more privacy, or you travel with two friends, you can opt for a unit with one private bedroom. The resort also offers timeshares with two bedrooms that can sleep up to six people. All of these units come with a partial kitchen and a private bathroom. When you stay at the Country Inn Bhimtal, you'll want to explore the natural beauty of the Himalayas. This resort is so close to the Himalayas that you can hop on a trail right outside and explore the region. The nearby gardens are a nice place to relax as you see some of the native plants and wildlife. You'll find a game room and on-site parking at the resort, and the resort can help you book a rental car for use on your trip as well. This is also one of the only pet-friendly resorts in the entire region. Boating, para-gliding and rock climbing are just some of the fun activities that you can do near the resort. With India timeshares for sale from this resort, you'll never run out of exciting or relaxing things to do. 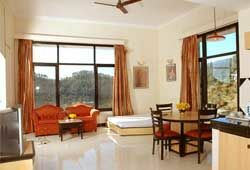 Contact Country Inn-Bhimtal Specialist Today!